As recently as the 1970’s, women’s history lacked substantial inclusion in the K-12 curriculum or in general public consciousness. To address this situation, the Education Task Force of the Sonoma County (California) Commission on the Status of Women initiated a “Women’s History Week” celebration for 1978. In February 1980 when President Carter issued the first Presidential Proclamation declaring the Week of March 8th 1980 as National Women’s History Week. In the same year, Representative Barbara Mikulski, who at the time was in the House of Representatives, and Senator Orrin Hatch co-sponsored a Congressional Resolution for National Women’s History Week 1981. This co-sponsorship demonstrated the wide-ranging political support for recognizing, honoring, and celebrating the achievements of American women. In honoring the progress of women in the profession, please take a moment to read about the strength and courage of Dr. Florence Kimball, Dr. Dorothy Segal, and Dr. Alfreda Johnson Webb. A native of Worcester, Massachusetts, Florence Kimball entered Cornell in the fall of 1907 and graduated with 21 men three years later. She returned to Massachusetts and renovated a stable in Newtonville in which she opened a small-animal hospital. Though relatively little is known about her practice, there is no reason to believe that it was not successful. In fact, in the January following her graduation, Dean Veranus Moore received a letter from Dr. Kimball indicating that her caseload was more than ample. Within a relatively short period of time, however, Dr. Kimball left veterinary medicine to enter the nursing profession. 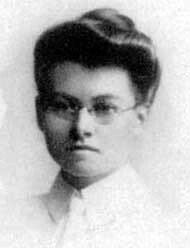 She trained at a hospital in the Boston area, may have served in the Army Nurses’ Corps during World War I, and later worked at the State University Hospital in Oklahoma City, where she spent the remainder of her career. She died on her farm outside Oklahoma City in 1947. When Dr. Dorothy Segal enrolled in the Michigan State University preveterinary program in the 1930s, she had already overcome some challenges—a car crash delayed her planned entrance into college by almost six years—but it quickly became clear that there would be other hurdles in front of Dorothy and the other young women in her class. But one thing is clear: if Dr. Segal and her classmates were trailblazers, then the trail is officially open—wide open. Today, women outnumber men in veterinary classes by more than 3-to-1. After students receive their veterinary degrees from colleges and schools across the country in May and June, women veterinarians outnumber men, according to the American Veterinary Medical Association. As of December 2005, there were 36,383 female veterinarians in the United States (compared with 43,186 men) making up almost 46 percent of the profession. The graduating class of 2007 (2,489 total students) is split 75.3 percent female (1,873 students) and 24.7 male (616), according to the AVMA. Allison Shepherd, senior manager of market research with the AVMA, explains that this flood of female veterinary graduates are entering veterinary medicine at a time when retiring veterinarians are more than 95 percent male. In 2005, 918 male veterinarians and just 50 female veterinarians retired. Alfreda Johnson Webb was born in 1923 in Mobile, Alabama. After completing a bachelor of science degree at the Tuskegee Institute (now University) she attended the Tuskegee Institute College of Veterinary Medicine. In 1949, Dr. Johnson Webb graduated as the first African American woman to graduate from veterinary school, becoming the first African American woman licensed to practice veterinary medicine in the US. Dr. Johnson Webb remained at the Tuskegee Institute where she taught anatomy until 1959, completing her tenure at there as an Associate Professor. 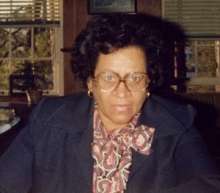 She then served as a professor of biology at North Carolina Agricultural and Technical State University (NCA&T) from 1959-1978. During her time at NC A&T, she was a member of the planning committee which founded the School of Veterinary Medicine of North Carolina State University. Dr. Johnson Webb went on to serve as a legislator, holding several positions within the Democratic Party of North Carolina. In 1971, she became the first African American woman in the North Carolina General Assembly, serving on many committees including serving as the Chairperson of Minority Affairs, president of the Democratic Women of NC, and a member of the NC Council on Sickle Cell Syndrome. We honor Dr. Johnson Webb as a pioneer in our field and a champion of justice and democracy. Dr. Leininger’s distinguished veterinary career spans more than 50 years and includes service as a private practitioner, volunteer leader, industry executive, and spokesperson for the profession. A 1967 Purdue DVM graduate, Dr. Leininger is most widely known as the 1996/1997 President of the American Veterinary Medical Association and was the first woman elected to that office in the 146 year history of the organization. As President of the AVMA, Dr. Leininger introduced many initiatives that developed into major programs for the AVMA, including the National Commission on Veterinary Economic Issues (NCVEI), the AVMA State Legislative Initiative and the AVMA President’s Washington Roundtable. 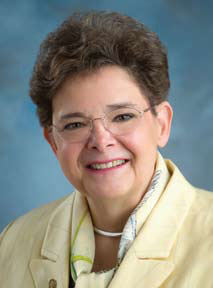 Dr. Leininger recently retired from her role as Vice President, Veterinary Relations for the Hartville Group. She now plans to devote considerable time to volunteerism focused on the student debt issue.